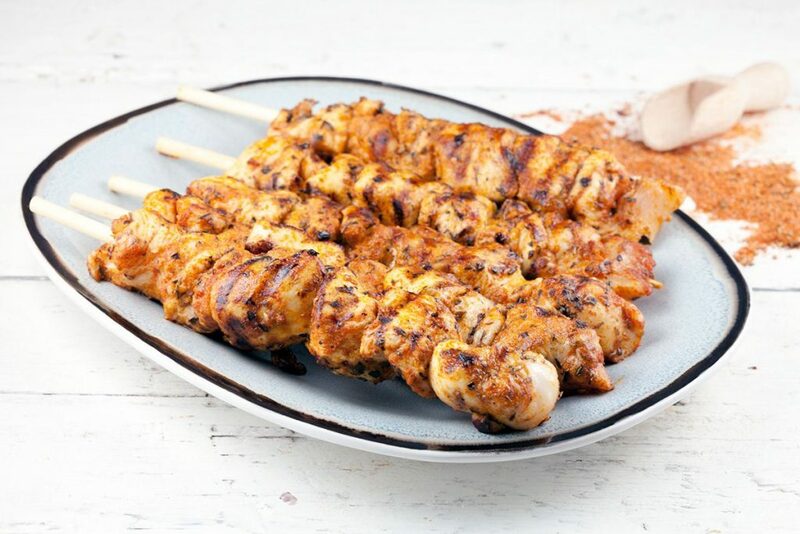 These Cajun chicken skewers can be made on the barbecue or even on a grill. With homemade Cajun seasoning! Ready within 20 minutes. Chimichurri is an amazing sauce with lots of fresh herbs. 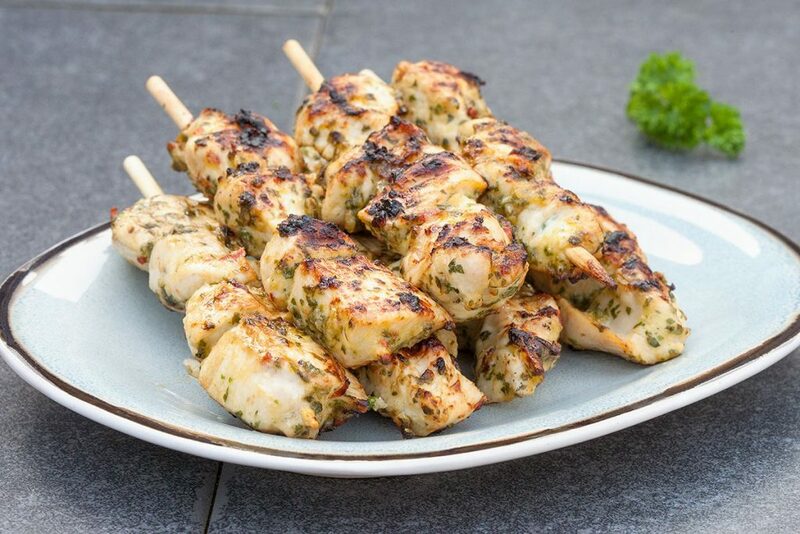 Your kitchen will smell superb, even the day after you made these chimichurri bbq chicken! 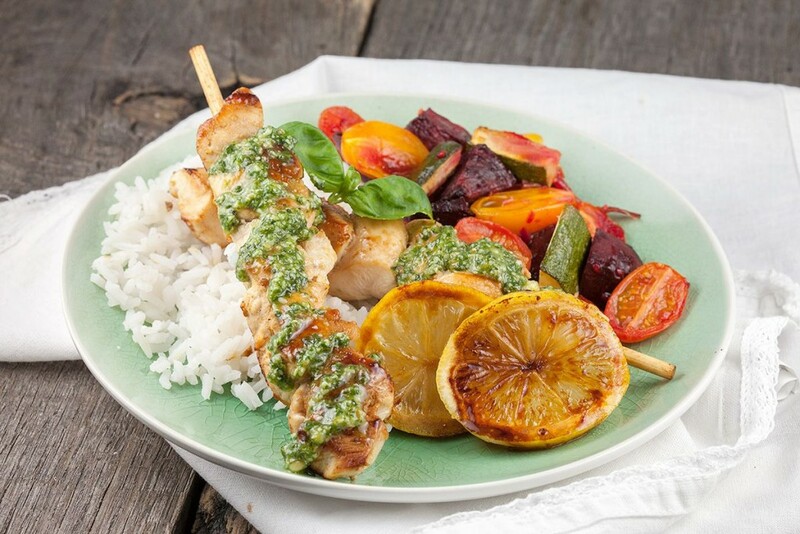 A plate that’s bursting with flavor, lemon chicken with rice and pesto. 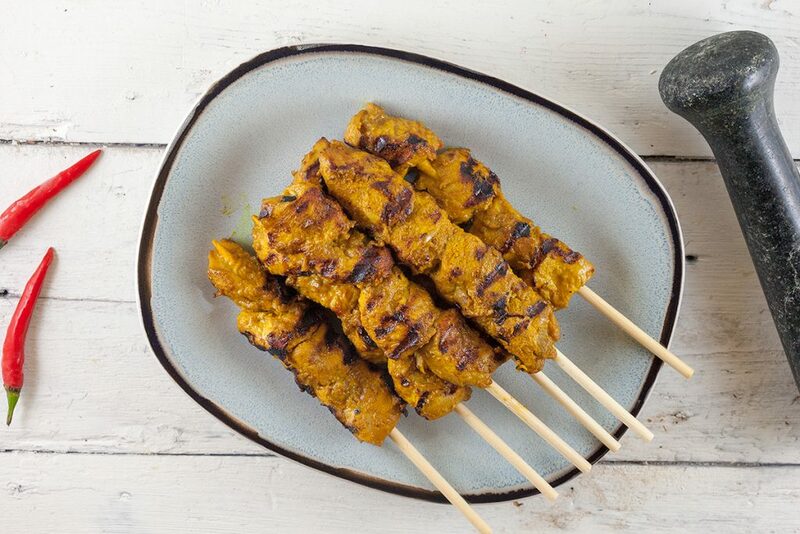 Serve with beautiful roasted veggies and your meal is complete.